THEORETICAL AND PRACTICAL COURSE OF FRESCO In this age of industrialization and a growing demand of energy, we rediscover with our courses of Fresco hand access without necessity of gas or electricity, but with an appeal to mere cerebral motor “energy”. The tradition of decorative frescoes was extremely well-established in Venice; the XVIII century in particular, was a period during which highly elaborate ceilings and walls in palazzos and churches were completed in their pseudo-architectural settings, increasing the Illusionistic effect and making the actual space appear much larger. The fresco could also basically be described as a large-sized colour drawing that, by its very nature, requires a quick mind and hand, spontaneity and confidence. This course adopts a practical approach to the knowledge of this technique and will cover some of the most important aspects, thus enabling the participant to understand the absolutely unique limits and advantages of the subject. The course requires no artistic experience, just curiosity and interest in art. To ask any accompanying bids matched to the course! The hotel has 42 rooms on three floors connected by lift. The rooms nearly all have classical-style furnishings, are luminous, some with a small balcony and all with bathroom, shower, air conditioning, telephone with direct outside line, satellite TV, and a wireless internet connection. There is an internet point in the Hall. 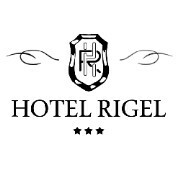 The hotel Rigel, built in the 60's, is situated on one of the most important islands of Venice. Its importance and uniqueness are due to being the only one facing the Adriatic Sea on one side and on the other the basin of St. Mark's, just before the historical Square of St.Mark's, centre of the ancient Republic of Venice.